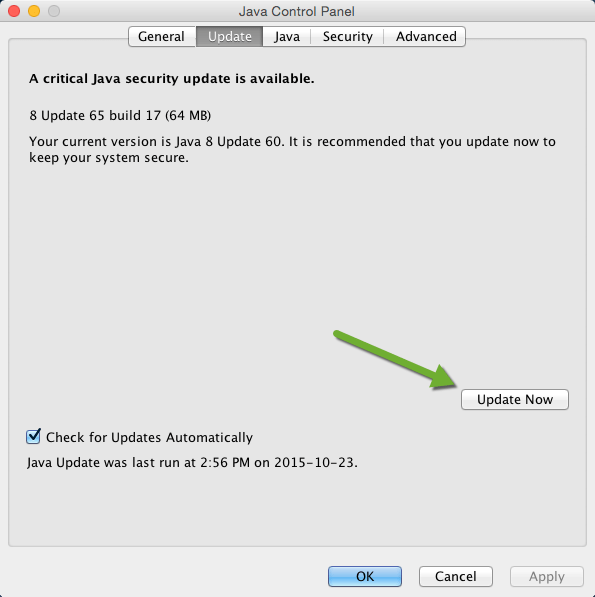 Over the years, Java has made it easier to keep its software updated, and in this article I will give instructions on how to check if your Java version is up to date, how to update it, and how to get it to automatically check for updates, on both Windows and Mac OS X. 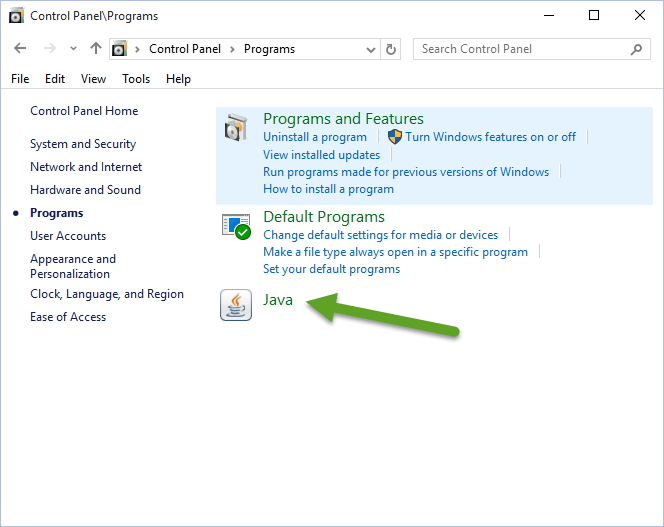 These functions are controlled using the Java Control Panel. 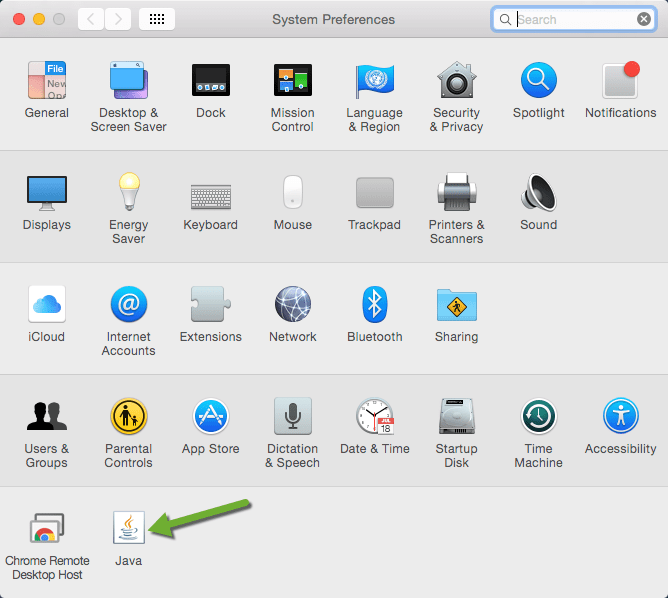 To access the Java Control Panel, on Windows or Mac OS X, following the instructions below. 4. Click on the Update tab, and then click on Update Now. 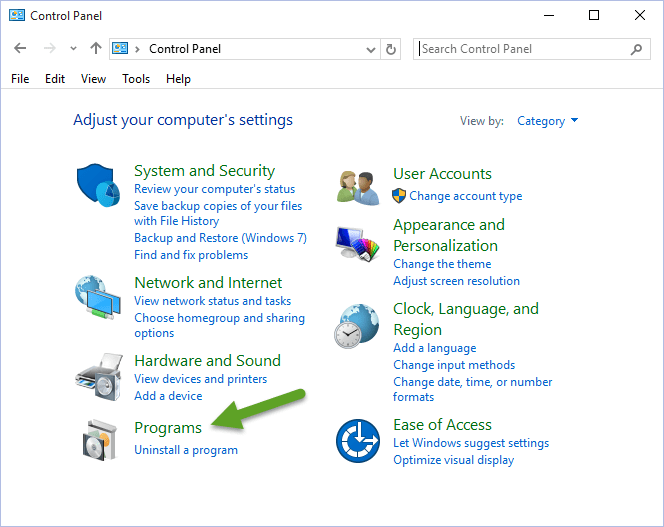 If there is an update available, follow the instructions to complete the installation of the update. 3. 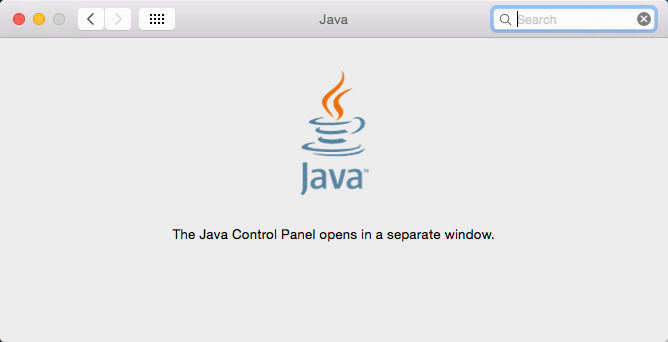 Wait for the Java Control Panel to Open. 4. Click on the Update tab, and then click on Update Now. 5. If there is an update available, follow the instructions to complete the installation of the update. 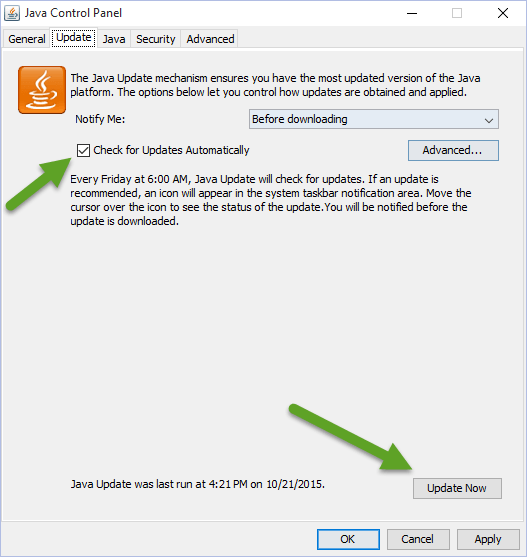 Java releases updates approximate every 3 months (Java 8 u65 was released October 20, 2015), and so if you haven’t checked if your Java is up to date for a while, it would be a good idea to check it now.